This condo was perfect for the 2 of us. great stay, and excellent location and views. Place was excellent with great views. I was a little disappointed the surf board was not there, Even though it's in the picture. All in all it was a great experience and great price for the location. Hotel was very nice and clean. Thank you, it was a great location, with an impressive view! 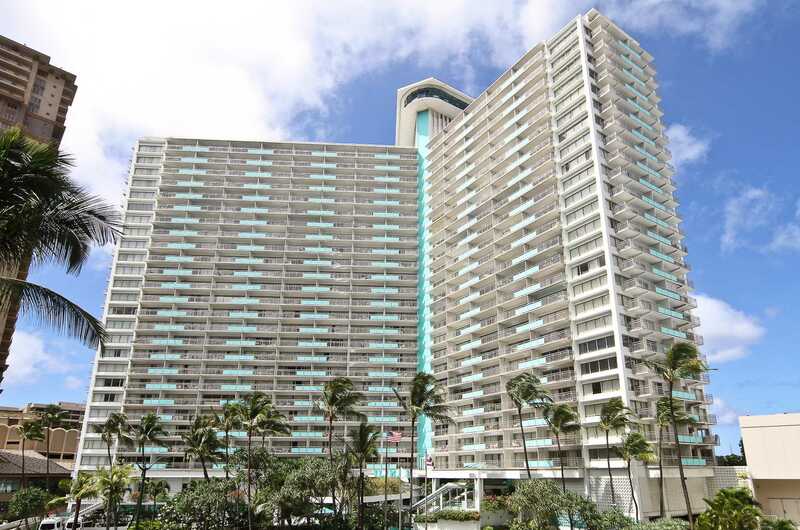 Fantastic location, looks out at the pool and the lagoon...easy 15 min walk to the strip & 10 mins walk to Ala Moana. Used the parking service, super easy. Will be back! We totally enjoyed our stay here. Fantastic location...public transport right in front of the building..We caught the 42 to Pearl Harbour Memorial. 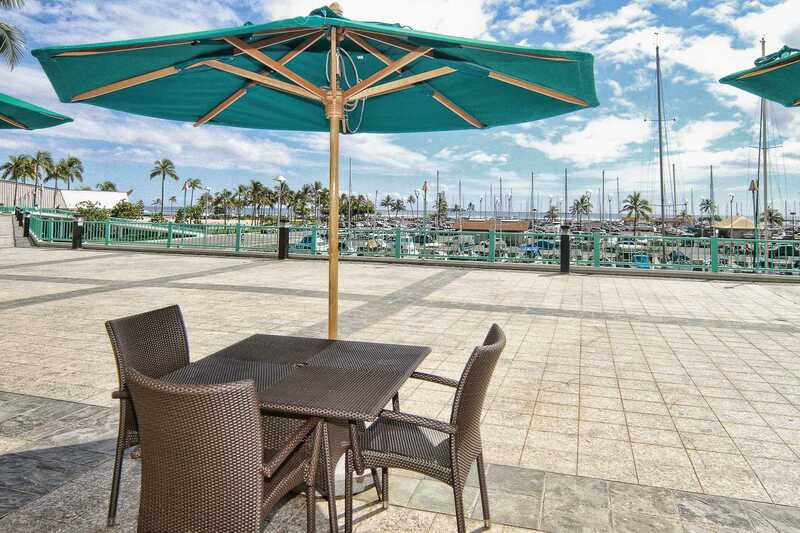 Easy walk to Ala Moana shopping centre and surrounded by lots of restaurants. This apartment has a great view of the evening show on top of the Hilton next door. The beach by the lagoon is great for a dip. Look out for $2 Tuesday at Dave's Ice cream in the Lobby. 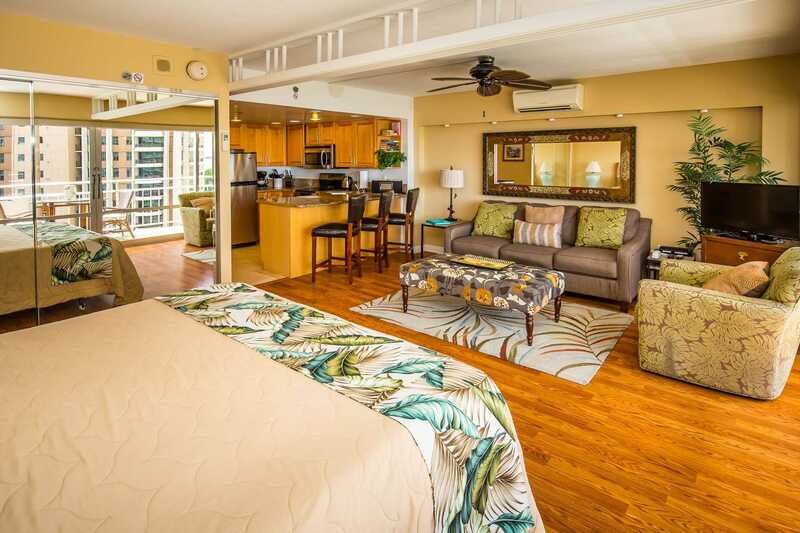 We loved our stay at the Ilikai and #1122 and will definitely be back. The split system AC was new under 4 years ago. It receives professional maintenance every 6 months. The AC is in very good condition per the tech. We stayed here during April 2018, the condo was wonderful. The view was amazing, everything was clean and wonderfully decorated. The room was spacious and the kitchen was well equipped. We really appreciated the sound system that was available for use in the kitchen, it allowed us to listen to Hawaiian music all through our stay. I would highly recommend this rental and would definitely rent here again! 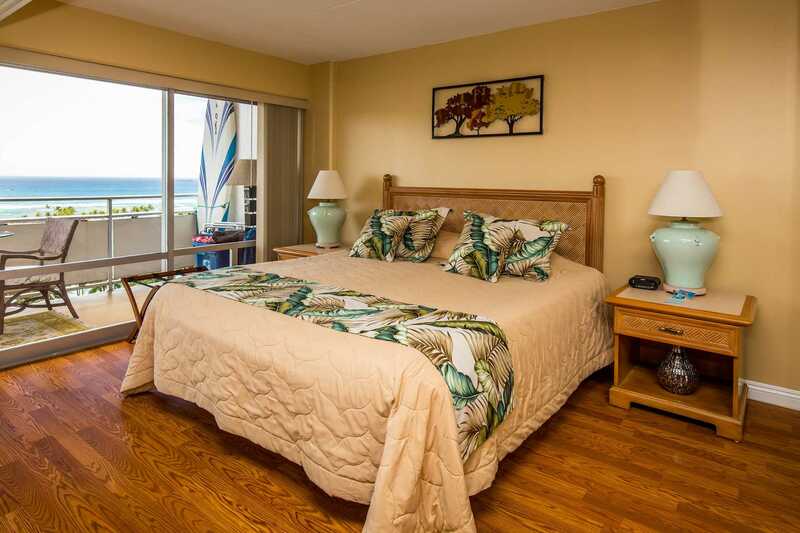 We had a great stay at the Ilikai room 1122! 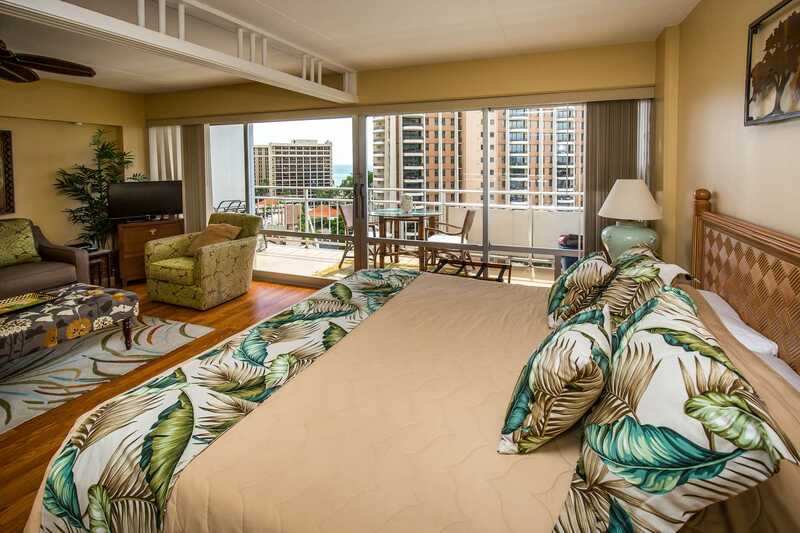 The room was in the ideal spot in Waikiki for being picked up for tours and the view from the room was gorgeous! We loved being able to watch the Luau every night from our balcony! The fireworks are great to see from the room be we found downstairs was a better view! We loved staying in this beautiful part of Waikiki. This Apartment was perfect and very comfortable for us as we spent most days out sightseeing and loved coming home to it at the end of each day to relax and have a good night sleep. Lovely quiet area with gorgeous views. It was so easy to self check-in and out and being able to have early check in was the best after a long overnight flight. The Apartment was well appointed with everything you need to self cater and all furniture was clean and very comfortable. We were able to be picked up out front of building for tours and all local buses which was very convenient. It only took a 20 minute easy walk along the beach front down to Waikiki Beach. 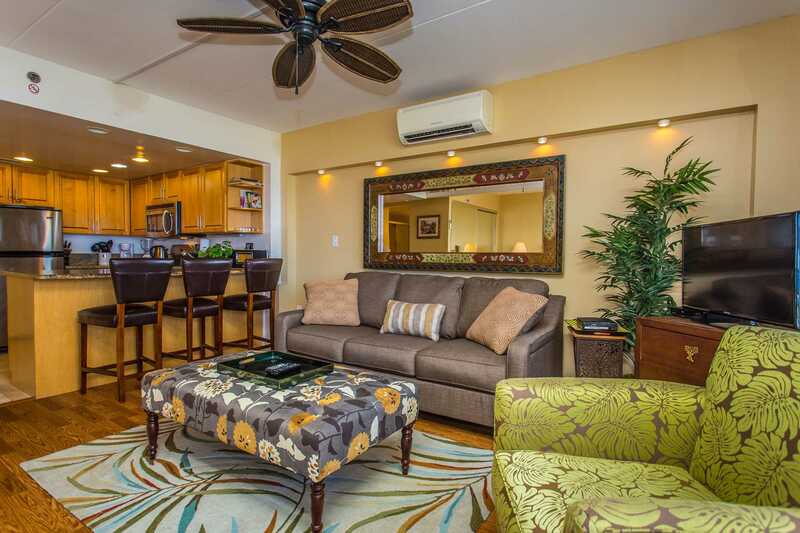 We would definitely recommend this apartment to anyone looking to holiday in Oahu and would definitely return there ourselves. Looks and feels like a million dollar place. Clean, everything you may need is there. Awesome location and view. Very nice people all around the place. I will definitely go back one day. Great place. Even had a dishwasher in the unit! Great view. Clean. I would definitely rent this unit again!!! We had a great stay! 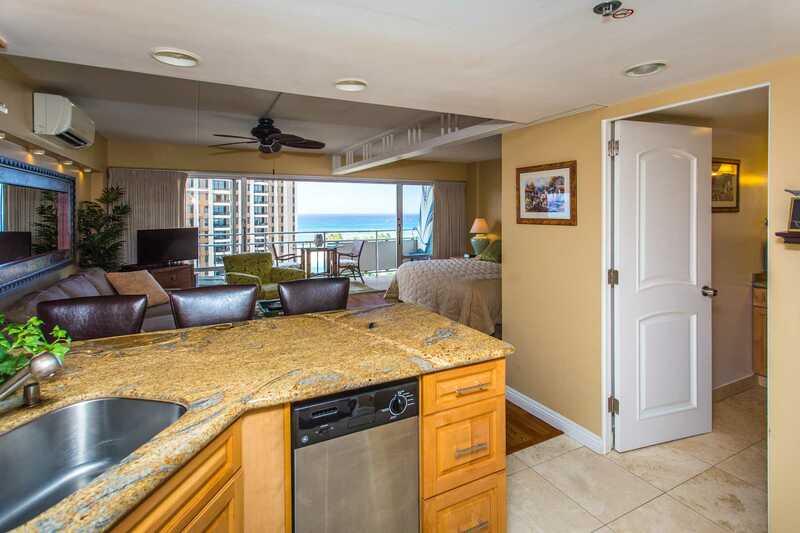 The view was unbeatable for the price range, great sized lanai, stocked with everything we needed, great location, I could go on. Self check in was super easy as our flight came in late which added to the benefit of not having to check in with anyone. The convenience shop in the lobby was also a great perk and had super friendly staff. This was our first experience with Airbnb and I would stay here again! 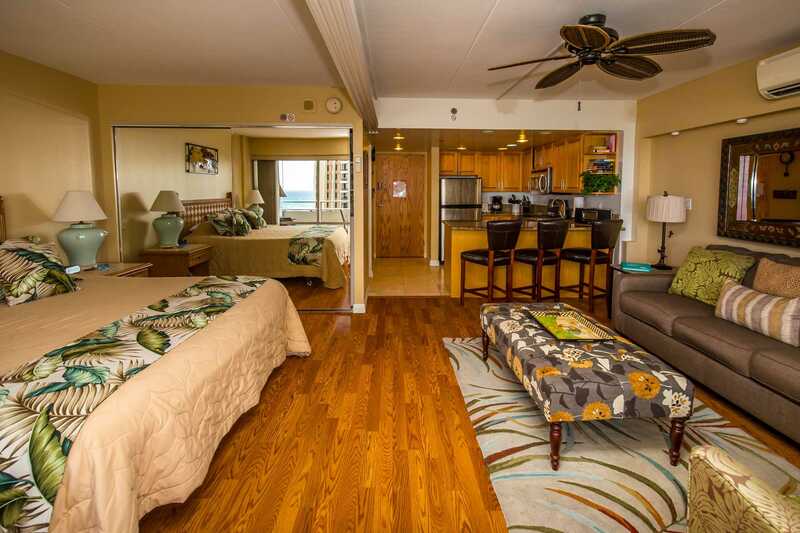 Each Dec we stay at the Ilikai at Honolulu Marathon time. This was our second stay in this unit. We chose it for the lagoon views plus it has a dishwasher. We appreciate the lanai furniture as the table is large enough to enjoy outdoor dining. We also stay at a unit on the marina side which has a great A/C and in comparison this one is definitely not as effective. It's very nice to have a ceiling fan, but this one "clicks" at times. 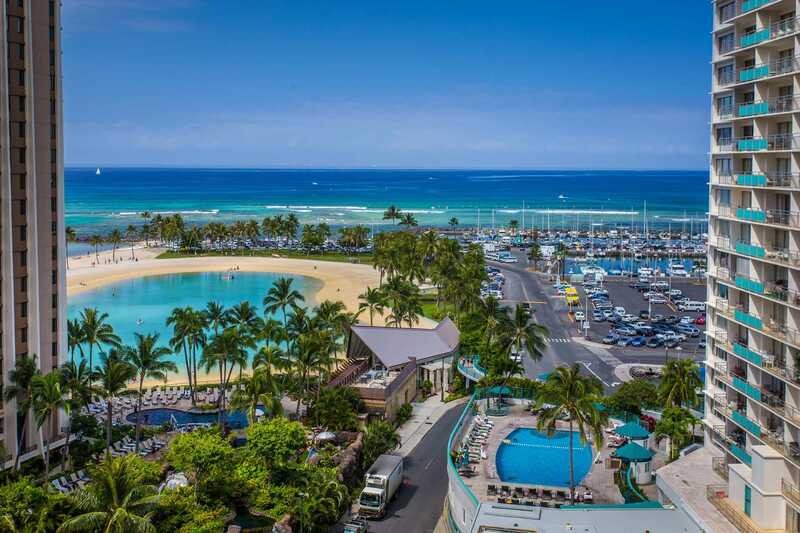 You won't have to spend money on a luau as you'll experience the Hilton Hawaiian Village luau almost every night - got it totally memorized :)HVP is easy to work with and very responsive. We will definitely stick with them for our annual rentals. had everything we needed to have a wonderful month long stay! We will be returning !!! Mahalo. Another great condo to stay in with great views, clean throughout with everything you need to have a fantastic holiday. 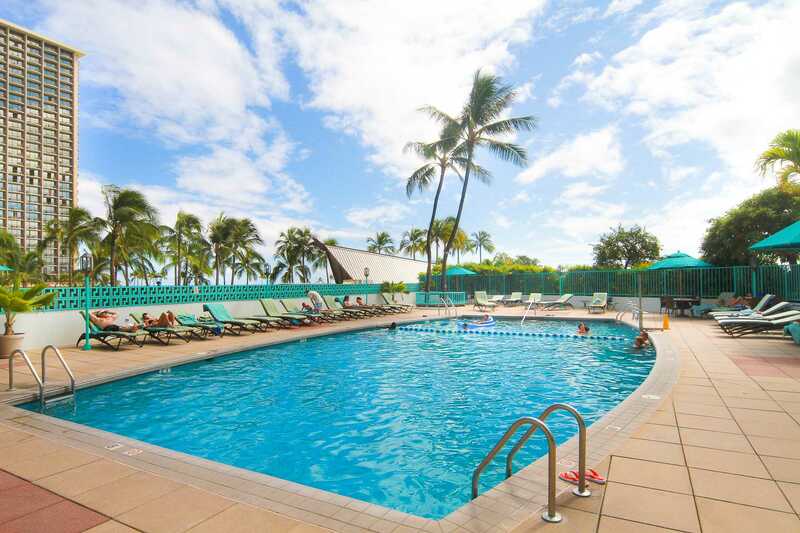 This was my 2nd stay at Ilikai and there is only positive things to say. Apartment was well appointed and very comfortable. Accesses were as described and any changes we needed to make were dealt with in a timely and professional manner. We would recommend this apartment. The place was spectacular. No complaints at all. Love the stay. I recommended to cooworkers already. What a wonderful condo and location. Ocean views are amazing. Restaurants and shopping are abundant. What the luau at HHV next door from your lanai. 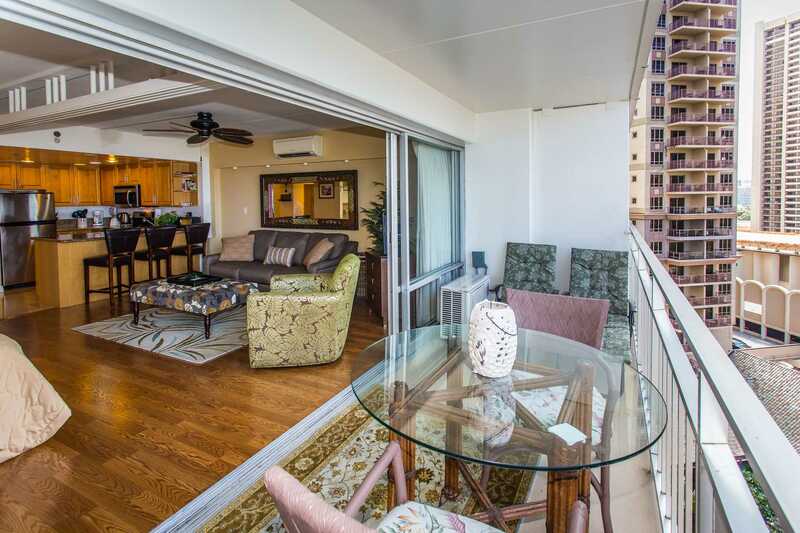 We have nothing but positive remarks for this condo and the Ilikai. 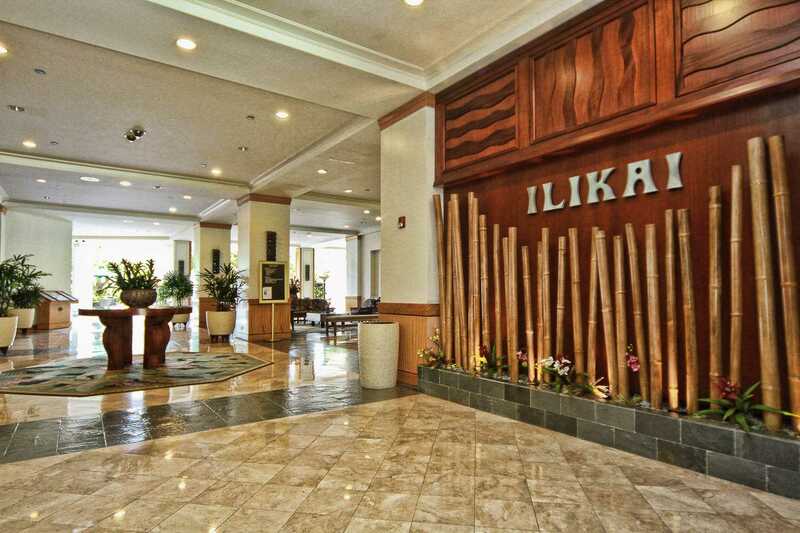 Always enjoy our stay at the Ilikai! We stayed in unit # 1122 for 16 days. Could not ask for more. The unit was very clean,comfortable and had everything you could want for a short or long stay, from kitchen implements to beach chairs and buggy boards. The view was incredible, loved sitting outside watching the boats on the water, the lagoon, you could see the Luau show on the Hilton rooftop next door, and the Friday night fireworks were right in front of us! 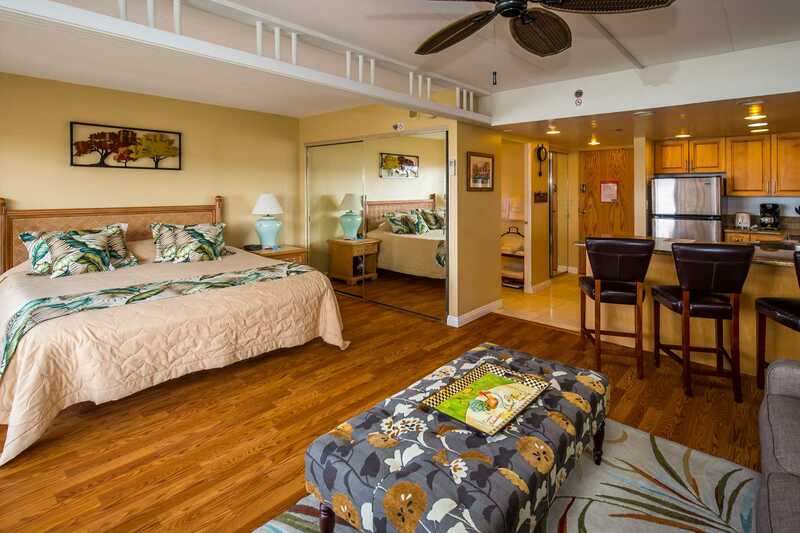 This was the second Ilikai unit that we stayed in during the month of Dec. It has comfortable furniture and good lighting, plus lanai furniture large enough for outdoor meals. No maintenance issues except a little frustration with the blinds which we remedied ourselves. 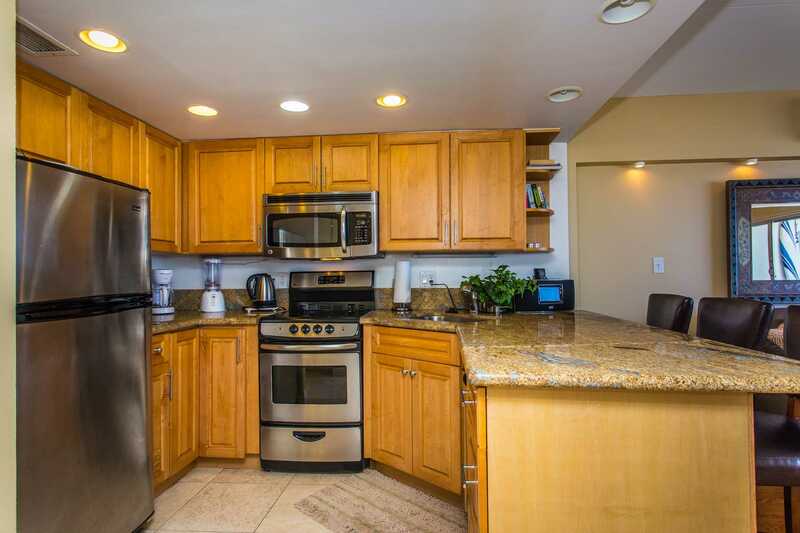 Just our opinion, but it was a bit cluttered, especially the kitchen counters and cabinets. Thank you for your feedback. We are happy you enjoyed the condo. Regarding the blinds, feel free to call us if we can help with anything. We have staff in buildings daily and our Manager on Duty phone number is posted on the back of the door. We will definitely follow up into "decluttering the kitchen cabinet" which we try to do on a regular basis. Thanks again, feedback is very much appreciated. Very nice location, lots of things to do in a very short distance. Walk to the beach, restaurants and the mall. We stayed in 1122 at the end of November. The condo is exactly as advertised and very nice. Great view and nicely stocked and decorated. 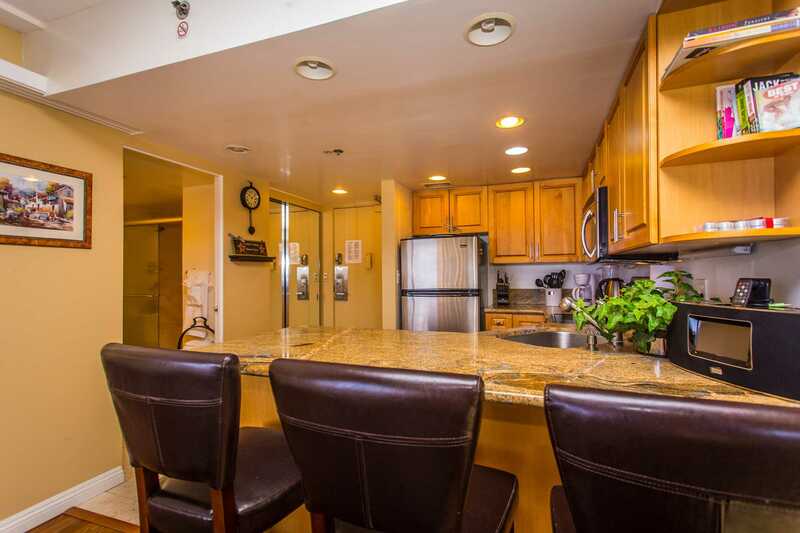 Location is perfect not super busy like downtown Waikiki but close enough to get there with a 10-15 minute walk. Concierge is very good as well. Close as well to Ala Moana shopping where there is a great grocery store. Excellent value and very nice accomodations. We stayed here for a week in November. Everything worked fine, and we had a good view of the ocean from this unit. The Friday night fireworks are worth seeing. Good water pressure in the shower. Bus service is very good (we had no car), and there were 2 ABC stores nearby for basic groceries. Just a 15-minute walk to a trendy shopping district. We stayed in room 1122 for approximately 10 days during our vacation and wedding. It has a great view of the beach and was quiet. The property sergices were very helpful but parking could've been cheaper. We parked on top of red lobster which was a mild hike through the modern. Also the view of the fireworks from our room was obstructed. We may have seen a couple of bursts. The room amenitiesvwere perfect for us as we were able to prepsre our own meals and save some money from expensive meals. We would stay here again and would recommend it to anyone. Excellent Condo. 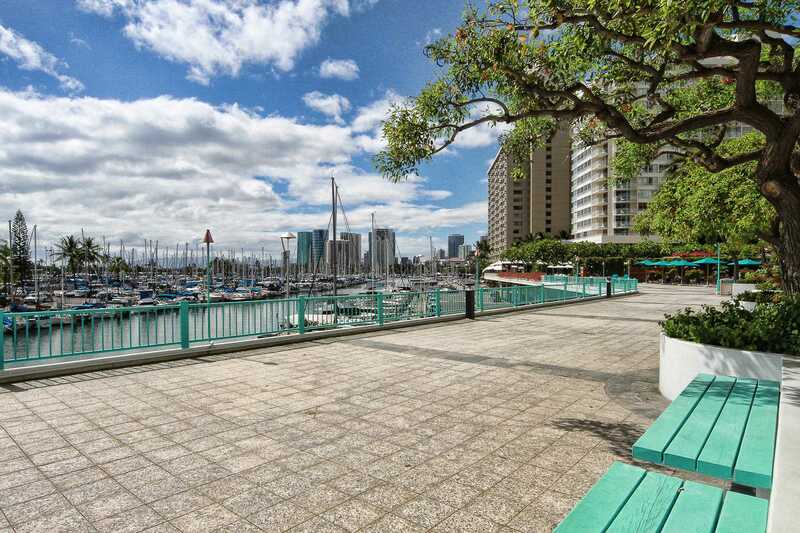 Nice location, great views and close to the Lagoon and Ala Moana Shopping Centre. 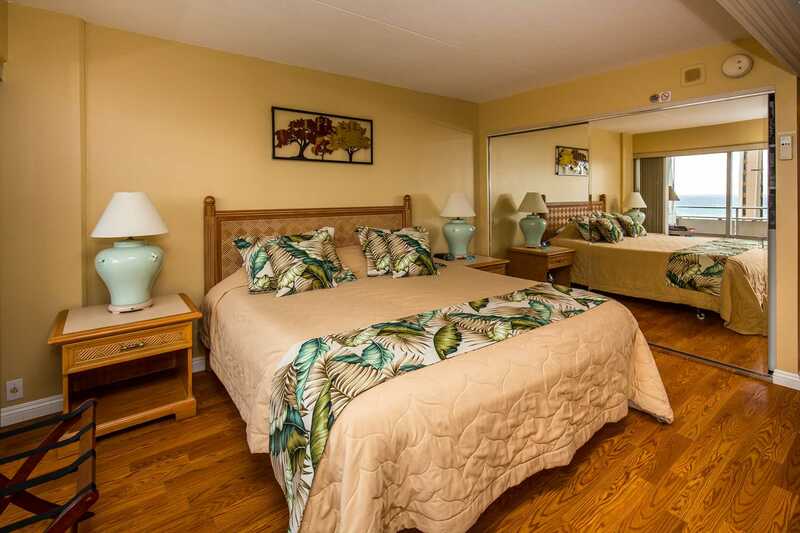 Our unit had everything including a nice comfortable sofa bed and mega king side bed plus items to use at the beach. We could watch the Luau Dinner (from our balcony) and the fireworks too. Two great restaurants close by, the Red Lobster and Outback Steakhouse plus two hire car companies across the road. 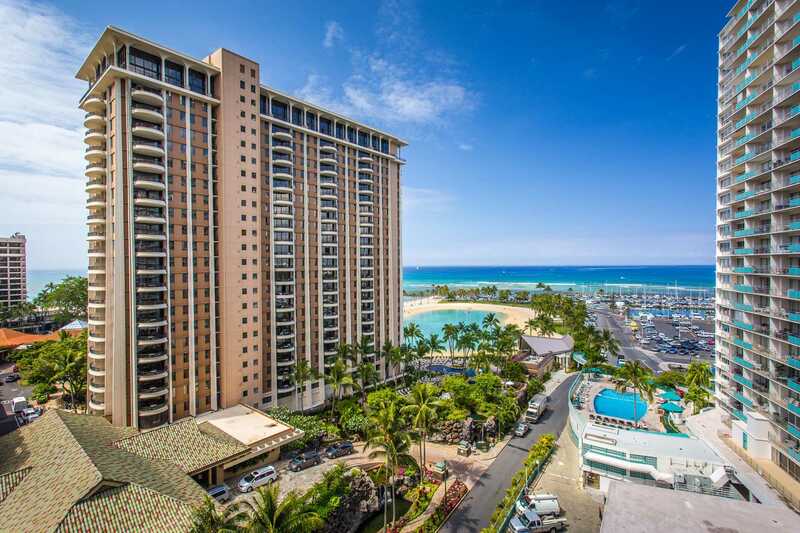 Tourist buses to the shops and Waikiki beach area stop right outside the hotel. 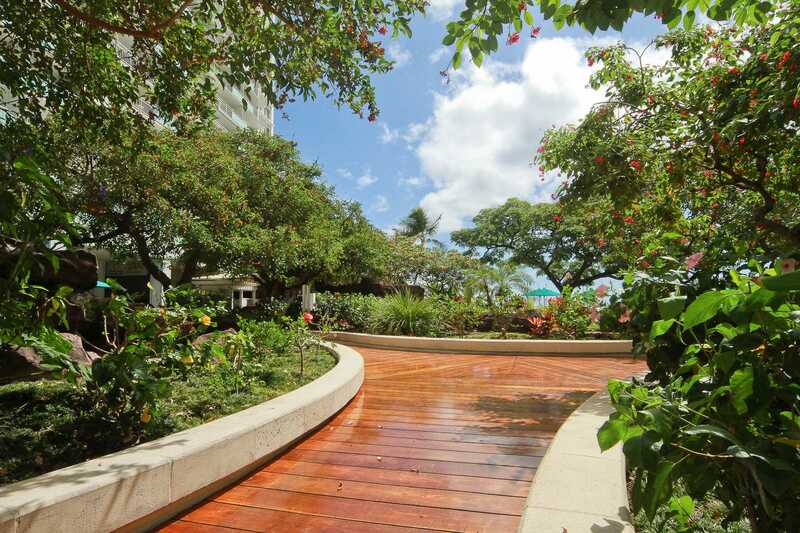 The unobstructed view over the lagoon & ocean is fantastic, & are exactly as shown in the photos. 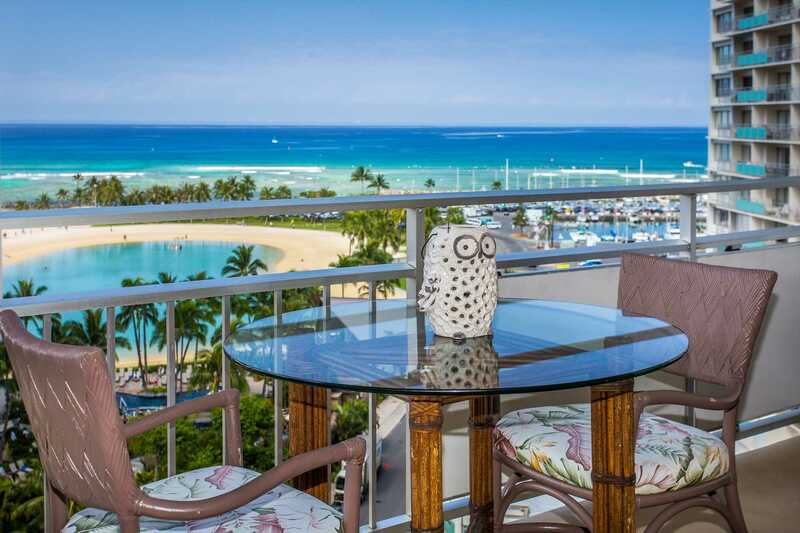 The position is great being just a few minutes walk to Ala Moana centre & close to great swimming in the lagoon or the beach. 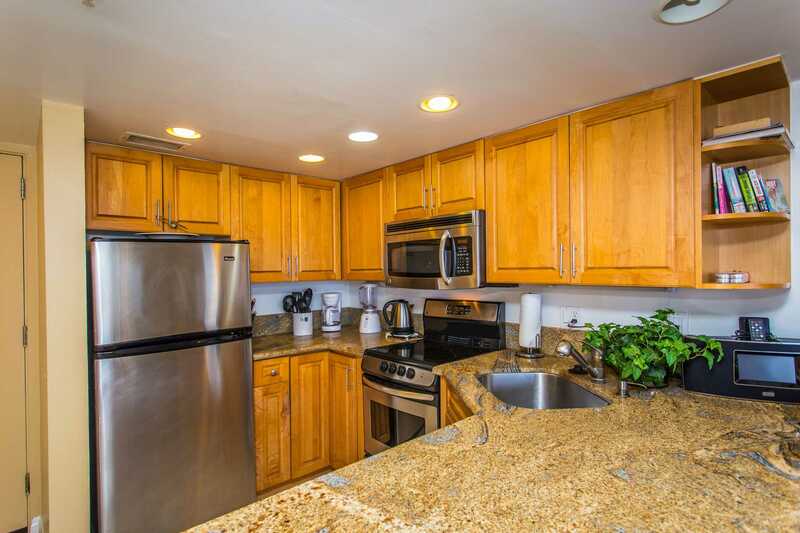 The interior of the condo is pleasant & was clean & had everything you need for a comfortable stay. The only thing was the chairs on the lanai were torn & need to be recovered/replaced, however this is just a suggestion & didn't detract from our stay. 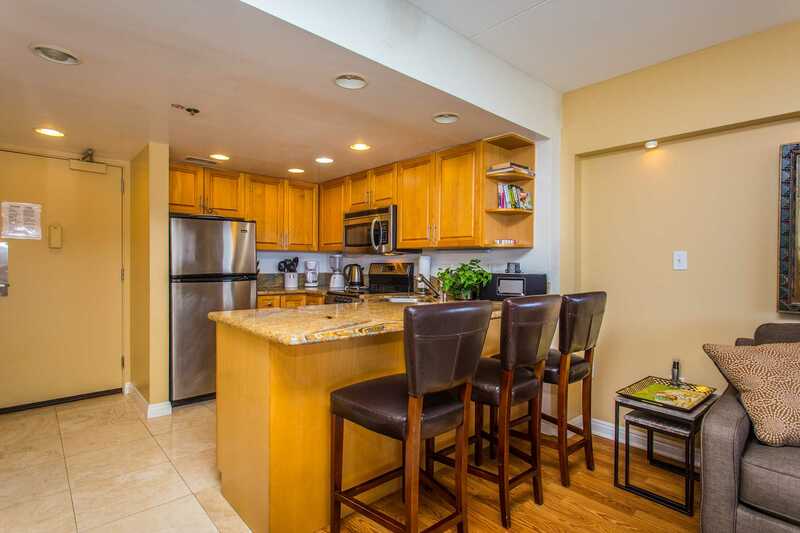 I would highly recommend this condo & would have no hesitation in staying here again. By Shane (Waimanalo HI USA) It was a nice stay. Stayed in Suite 1122 from April 2-9/16 - Pictures are exactly as we found the unit. Well appointed - bed and pillows comfortable. 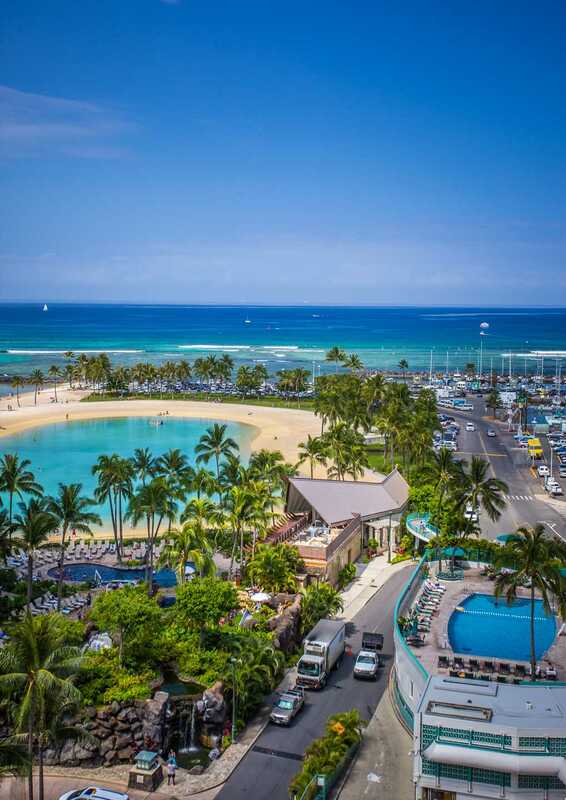 Best location for the Trolley and Excursion Busses - all stop right in front of the Ilikai. Pool area was great - very helpful staff. Cinnamon's Restaurant on-site was very good - nice breakfast! Saw the fireworks from the Hilton on Friday nite from the lanai. Walking distance to hotels and shops or take the trolley - only $2. Go to Don Quijote Grocery store for souvenirs, beer, wine, alcohol and groceries - good prices and slection. Cheaper than ABC Stores. A long walk but took a cab ride back. 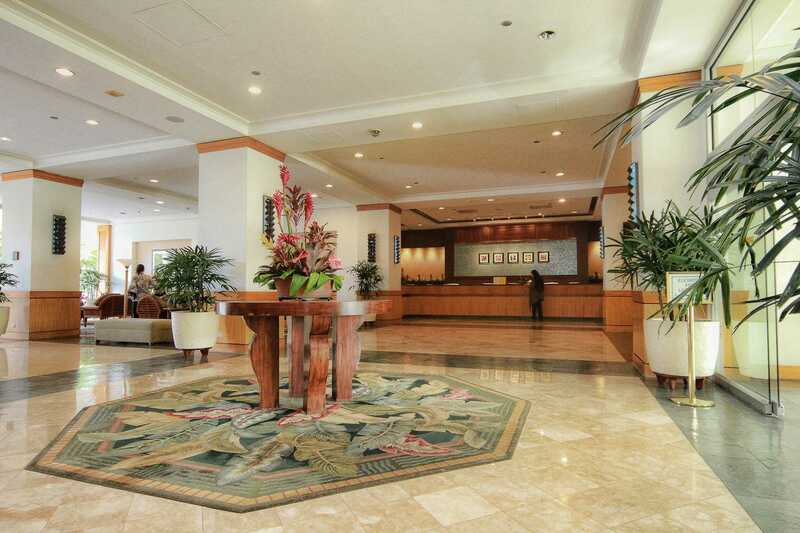 Ilikai is in a good location to Ala Moana Shopping Centre - walk or take the trolley. Thoroughly enjoyed our stay - nice to have the electronic keypad for entering the unit as we arrived quite late from our flight. I would recommend this hotel to anyone as being in the best location for all busses and also for several activities on the beach. It was well presented and value for money.the only reservation I had was the lack of light by which to read in the evening. This was the fourth time we have stayed at the Ilikai. 1122 is a well appointed condo. Comfortable bed and sitting furniture. Updated kitchen and bathroom. Keyless entry system a great plus since you don't have to carry a key with you. 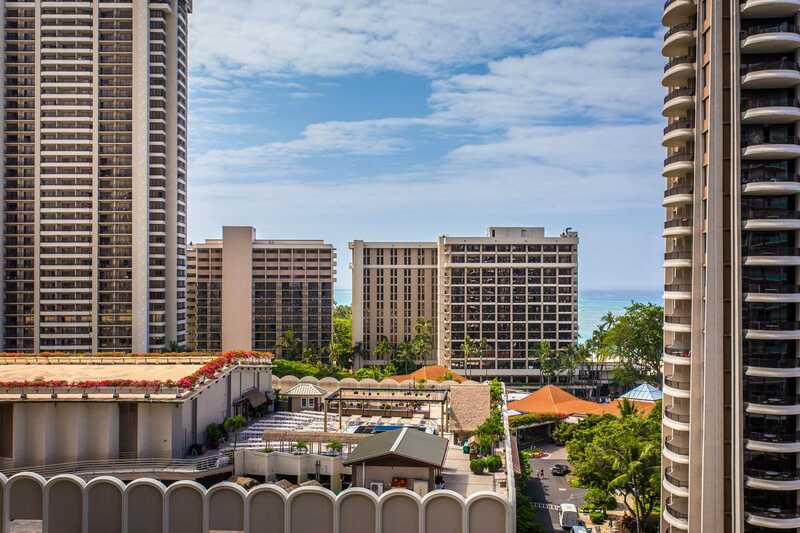 Location of the Ilikai is away from the busy area of Waikiki but within walking distance along with being close to the Ala Moana Center and The Bus. A car rental is not necessary. We will stay here again! The views were amazing....pretty much from anywhere in the condo you could see ocean water. 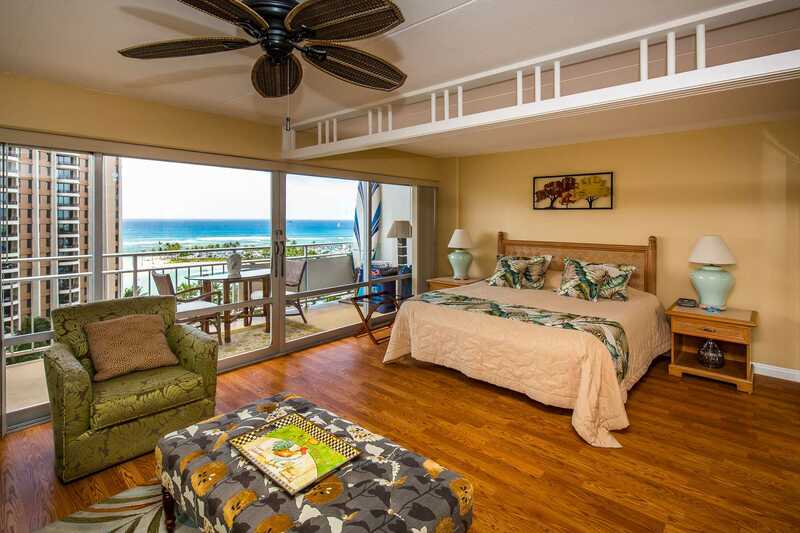 You can see a straight view to three surf breaks and a peak view of the beach out front. 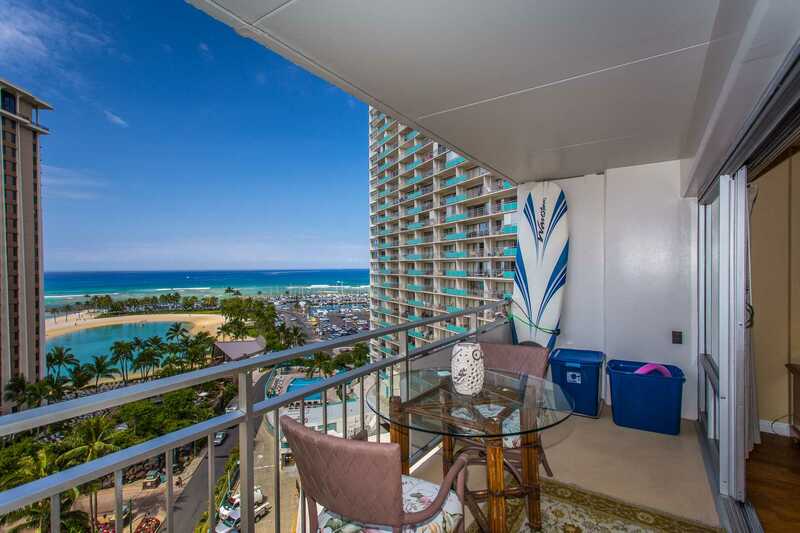 5 min walk to beaches.......main Waikiki beaches about 15 min walk along the beach. The sliding doors open up all the way which was awesome......only needed the air conditioner one time for a short period. We felt like we went to the $90 lua on the roof top of the hilton.......good view from the comfort of our lanai. The inside was very clean and updated to a modern feel. Everything about the condo was actually a little better then we though.....truly the view was awesome.....we would stay here again. Oh, we had our kids 14,11 with us and was a good size for us. Thank you so much for adding in a positive way to our family vacation. We stayed here for 9 nights in late Nov. While we found it smaller than it appears in the photos, it was perfectly adequate for our needs. The meal preparation and cooking facilities are good. We ate every meal on the lanai or at the bench in the condo when the afternoon sun was too hot. There is a very good supermarket about a 5 minute walk away on Hobron Lane where you can find everything you need to cook your own meals. I was a bit surprised that unlike most self contained holiday accommodation we stay in there wasn't even any salt or pepper, tea, coffee, oil, spices etc. 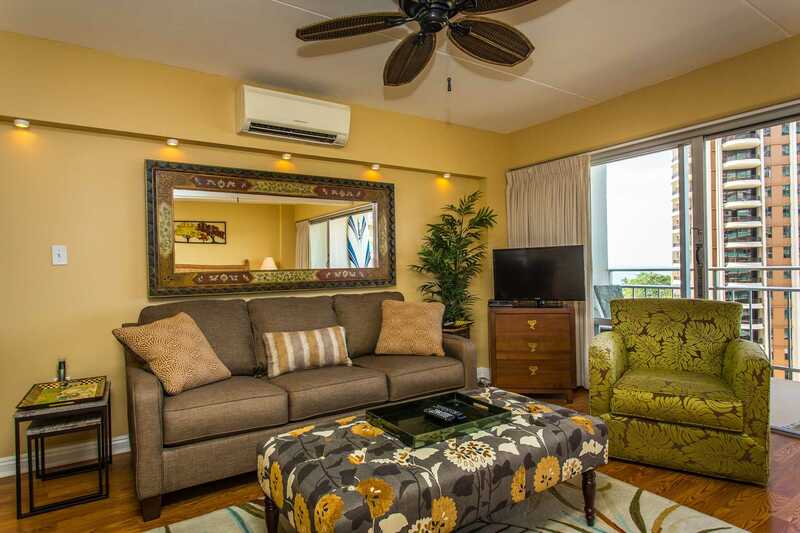 in this condo, which can be a problem if you are only staying a night or two, however, for us it wasn't a huge issue. The booking and payment process was easy as was the check in. The keyless entry is a great bonus as we could go to the beach without worrying about the key being stolen or lost while we were there. The bed was very comfortable although I would have liked a flatter pillow (we all have different tastes). 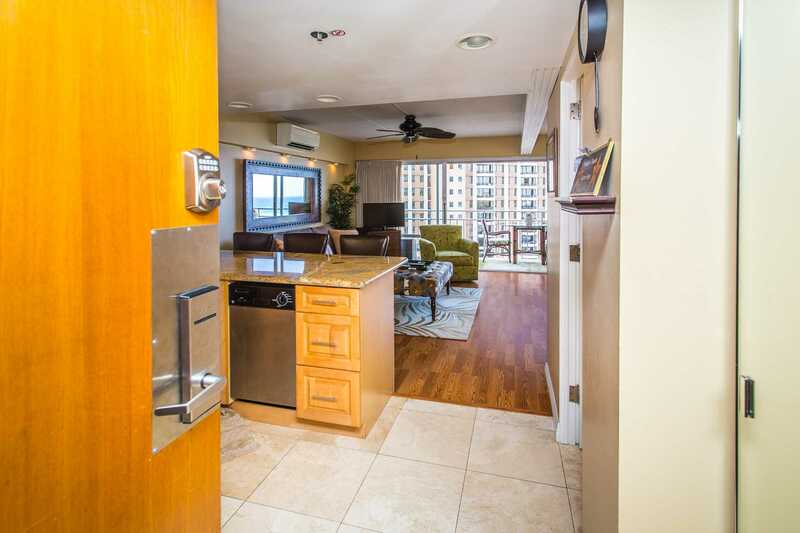 I recommend this condo for short stays in honolulu. A beautiful condo. Everything provided you could possibly need. Extremely comfortable beds and bedding. Even towels of a higher quality. Close to everything. Excellent wifi. We stayed in this unit for 9 nights from 2nd June 2015 and we had a wonderful time. Unit was very clean with everything we required. 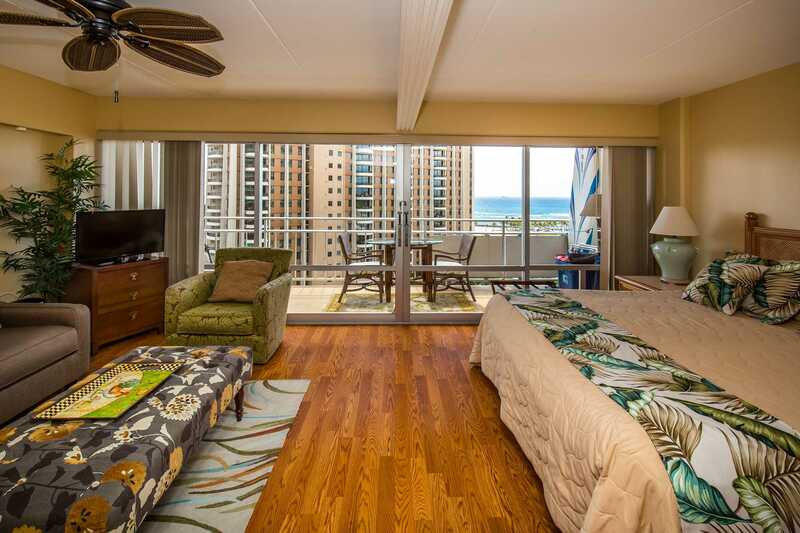 The position was terrific and we enjoyed sitting on the lanai taking in all the views. Would return here again. Once again a great stay .... 1st time in this condo and loved it. All the usual wonderful facilities provided. A great kitchen, super clean, and such tasteful design. Not too much "hibiscus"... extremely comfortable bed.. the TV could have been a little larger, but thats a minor thing. Always love the check in... avoiding lining up at a lobby check in area wasting time instead of going direct to your apartment and coding the pin number in and door opens...so much better. The only thing was the noise coming from the bathroom area which I only heard on my last night... It seemed to be late at night and I couldn't quite work out what caused it ??? Not too disturbing though... Thanks again Kat for a great stay. Cant wait for my next visit.. Mahalo. Response: Mahalo for the review and feedback. We did not find the bathroom noise. No further complaints about it. We hope to see you back here soon! This trip was a lot of firsts for us...first time to Hawaii, first time getting a condo instead a hotel room and first time being on vacation and it felt like a VACATION! The location was perfect. 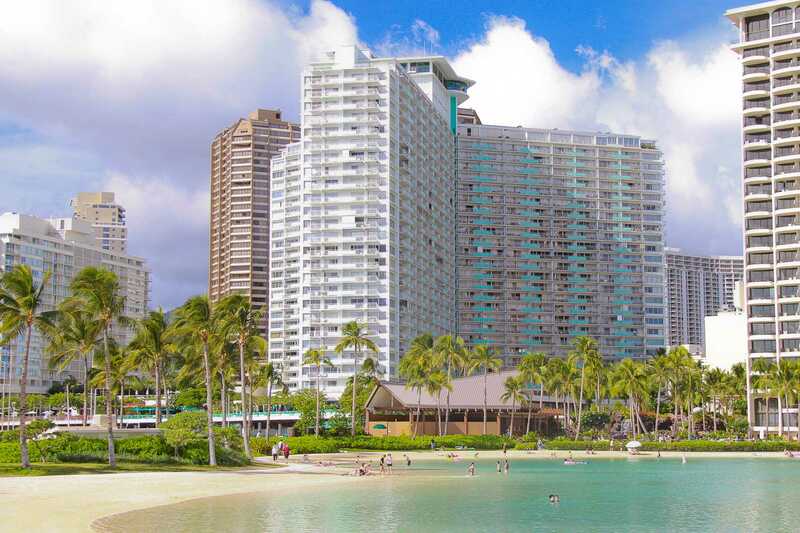 It's away from the hustle and bustle of Waikiki but within a short walking distance to all the stores and food places. Since the condo had a full kitchen we bought food and snacks. Every morning we ate breakfast on the lanai that had a beautiful view! The ammenities was great. The condo was well stocked with almost everything you need for a week long vacation. I look forward to our next Hawaii Vacation. The only complaint that I have is there was a loud buzzing sound coming from the bathroom that only happened late night/early morning. We couldn't figure out what it was. We can to the conclusion it may be the pipes in the wall. We ended up just closing the door to the bathroom which seemed to muffle the noise a little but you can still hear it. Other than that it was great! We found this spot was excellent! Great view, clean, well equipped, very nice decor. Great relationship to beach, and other amenities. Salt water swimming pool. We will definitely be back. Loved our entire stay and hated to leave. Fair fee for a great little place. We really enjoyed our 5 week stay in this unit. It was very clean and contained all the necessities one would require. The view from the lanai was great as we could see whales, the ships and boats coming and going from the harbours. The beach was a short walk without having to cross any streets. This was our 4th time staying at the Ilikia and it was nice to reconnect with other guests each year. Thank you Kat for making our stays so enjoyable. My adult children and I just had a wonderful 8 day trip to Oahu. Accommodation is a key factor in the success of any trip. 1122 met our expectations as it was exactly as it appeared in the photos with a partial view of the ocean and plenty of room to relax in the living area or cook in the kitchen. My daughter and I were very comfortable here; a key factor is the bed was very comfortable. 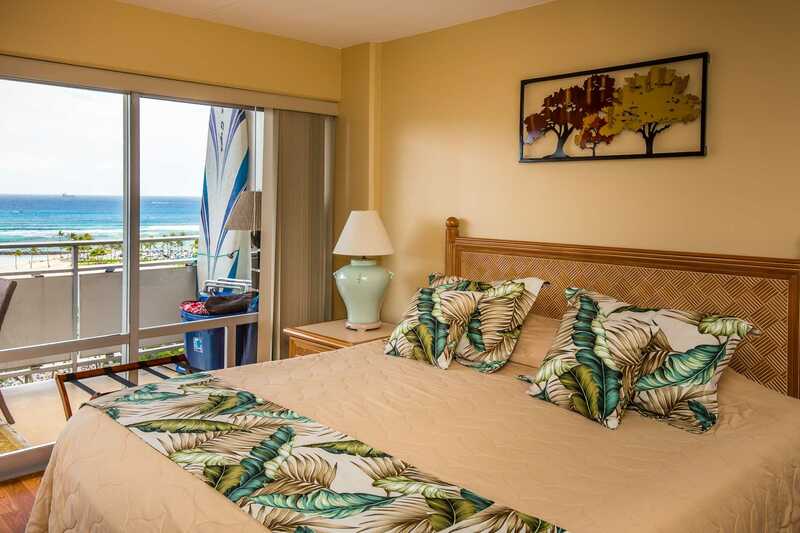 It was a convenient location, walking distance to a variety of wonderful food, the beach, lagoon, marina, Ala Moana mall, car rental across the street and a healthy walk to the busier Waikiki strip when we wanted more action. 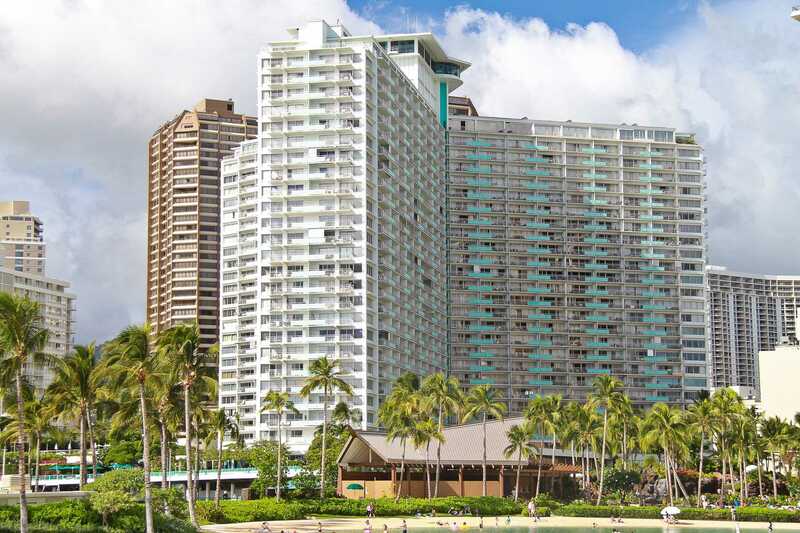 The Ilikai has hotel rooms as well as personally owned condos and there is an ice machine on the 25th floor if needed. We just made our own ice with our trays in the freezer. The hotel staff were all friendly and accommodating. A highlight was watching a whale swim by from the lanai. There were minor issues such as the dishwasher leaking but it was no trouble to wash our own dishes. The AC and ice machine in the fridge made some odd sounds now and then but we weren't kept up at night by it. The manager, Kat made a point to make personal contact which is always a nice gesture and was informed and I am sure this will all be fixed for the next guests. Kat also made an effort to find another 1bedroom condo 1118, close by for my son and his girlfriend on the same floor which made it very convenient for us. This condo was okay but kitchen and bathroom were smaller. The Friday fireworks are right in front (beachside) at the Hilton and we actually didn't need to attend a Luau because we could watch the Hilton's cultural dance from our Lanai. Overall it was a great place to stay and an awesome vacay with the kids. Our favourite excursions were snorkelling with the sea turtles and ATVing at the Kualoa ranch. I would definitely stay here again. 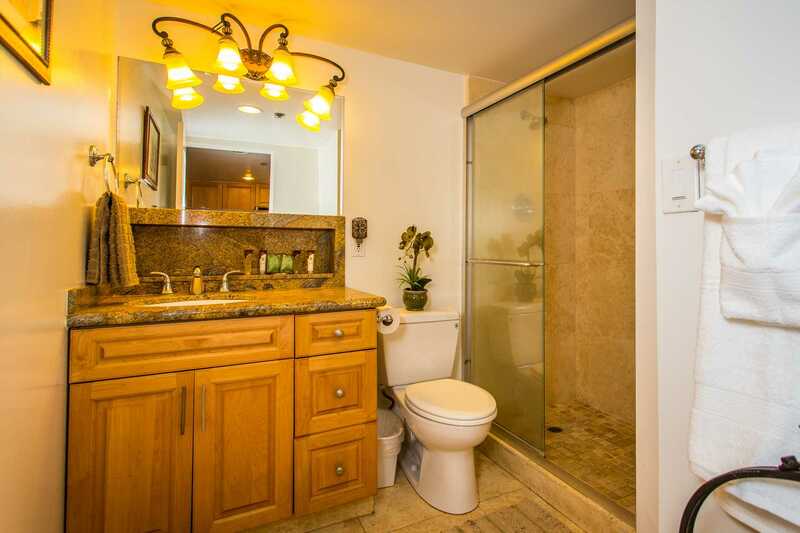 Was super relieved to find the condo was as depicted in photos and description. Great location just off Waikiki. Property as whole was very nice and clean. Condo had everything we needed and was super clean and well stocked. Definitely recommend, definitely stay again!